ART AT BAY is Two Years Old! Two years ago I wrote the first blog post for ART AT BAY and today I write the 159th. A lot has happened in the past two years with the blog generally and me personally. The blog is still here, and I’m now joined by three other writers. We’re slated to release the first print issue of ART AT BAY next month. My wife gave birth to our first child, a daughter. I became a contributor for Hi-Fructose Magazine and exhibited once as an artist. I’ve spoken with many awesome artists, gallerists, writers, and art lovers over the past year. Reflecting on it all, I find myself more optimistic than I was when I wrote this post last year. Tampa Bay seems poised to not only take its place as a significant art community, but more importantly it seems ready to accept itself. I’m continually seeing more collaboration span the Bay. I see people in our little art scenes lend a hand, some money, some time, some hard work, some resources for the sake of art and what it does locally. I’ve seen it done for me. It’s nice to witness our favorite artists mature and new artists gearing up to get involved. Some awesome things are going to happen in our little art world on the Bay. I hope you continue to stick with me and ART AT BAY as we provide a forum to talk about it and give it some attention. Thank you. Please believe me as sincere when I say, you guys are awesome, seriously awesome. #TwitterCrit: What is the Role of Art Museums? “What is the role of art museums?” – It seems like a straightforward question. As we explored ie during our latest #TwitterCrit session, however, what an art museum should or should not do became a bit ambiguous. Below you’ll find our conversation? What are your thoughts? Continue the conversation in the comments section! Art Season Kick Off – Galleries to Check Out Saturday! It’s finally here! I’m not talking about the Republican National Convention. Dust off your gallery shoes because the art season officially (according to me) begins this weekend! A gallery on either side of the bay kicks off the season with an exhibit you need to see. That’s right – that’s my name in the exhibit title. If you’re familiar with the blog, though, you know I’d be recommending this show anyway based on the other two artists alone. I swear. Read further if you need convincing. Hypostasis, the show’s title is a philosophical term referring to a subject’s essential nature as opposed to its attributes. I realize this may come off as pretentious art-speak from a usually smart-mouthed blogger. Honestly, though, I chose the name of the exhibit because of aesthetics the three of us shared – a blend of abstraction and figuration. Using both disparate techniques can allow an artist to open up interpretation on a subject and its concept. Justin Myers is a Tampa artist regular – you would’ve last seen his work at the Box on 5th preview party or Tempus For the Spring. Myers is also involved in the music scene as half of the project, Alien House, and though his amazing solo work as Diamond Man. I’ve been a fan of Justin Nelson’s work before I was even aware he was a local artist – featured in (inter)national media such as Beautiful/Decay and Booooooom. Nelson will be exhibiting brand new work for the Box on 5th inaugural exhibit. I got a chance to see it this morning and was impressed: he makes use of a brighter color palette but a more austere composition. I’ll be featuring work from a series of paintings based on magazine advertisements. The series deals with the face and ways it’s tied to identity and language. Also, the Blue Bird Books Bus will have a curated collection of books for you to peruse in while in the gallery. 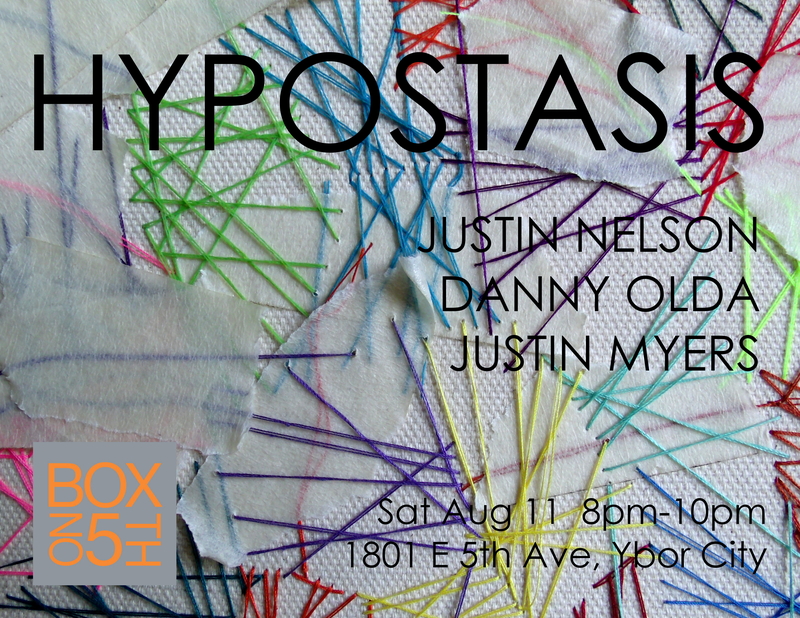 If you’re in Tampa, the opening reception for Box on 5th’s first exhibit will definitely be worth an appearance. I wrote a preview for this exhibit at Articulate – check it out here. There are a few things I’d like to add to that preview, though. The opening exhibit for an art season is usually made to be an especially strong one for the gallery. That makes a show like this one from a St. Pete heavy hitter like CEFA an essential visit. In addition to the two artists I mention in the Articulate preview, an installation from artist Donna Haynes should make for a great exhibit. This summer, as most, has been relatively slow when it comes to art. If you listen closely, though, you the hum of behind the curtain preparations for the upcoming art season. I might be calling it early, but the action begins this weekend with two Tampa art parties. My (quasi) expert suggestion: Grab some dinner at The Bricks then stop by the brand new Ybor City gallery, Box on 5th. It’d be proper for me to mention that I’ll have a painting hanging at the night. Does that influence my recommendation? Yes! Go see my painting! However, I’m hardly the only artist that will be featured that evening. The event will serve as a kind of sneak peek into the new galleries first season. The gallery will be presenting deservedly hyped Tampa artists, such as Justin Nelson, George Anderton, and Anthony Record among others. The Blue Bird Books Bus will also be making a stop at the new venue. Start your night here, check out what’s to come, say hi, have a drink, then head to the next party! The quarterly art party at the TMoA returns this Friday. The party invites “culture crusaders” to celebrate the museums current design exhibit, A Hundred Years – A Hundred Chairs. There is far too much going on at the museum that night to describe in full here, so I’ll give you the abbreviated version: music, film, dance, drink, lounge, art, food. Several local artists, including Vincent Kral and Shanna Gillette, will be featured with chair themed work. In addition to all of the downstairs fun, the upstairs galleries will remain open for a stroll. I love and admire the Art After Dark series: it’s a real and concrete way to connect an internationally recognized exhibit with our community in a way that many museums fail to do. If you don’t go for the crazy fun, at least attend on principle! Start up the Segway and double knot your shoes – there’s a lot of art to check out this weekend on both sides of the Bay. Here’s your guide to Friday, 1/13. Disclosure (and/or self-aggrandizement): I’ll be showing a piece in this exhibition. January is proving to be a busy month for CEFA. This Friday they’ll be hosting the opening reception for Have Your Cake and Eat it Too…Remix Edition celebrating, the galleries 6th anniversary. The exhibit highlights the gallery’s reputation for experimentation, unconventionality, and play. There will be quality work from some CEFA regulars like Kim Anderson, Daniel Mrgan, Jason Snyder and your faithful blogger as well as artists Caui Andeson, Gil Demeza, Neverne Covington, Lew Harris, Regina Jestrow, and June Kim. I was able to sneak a glance of June Kim’s work while setting up my piece – her series of photographs I Wolf is touching and powerful. 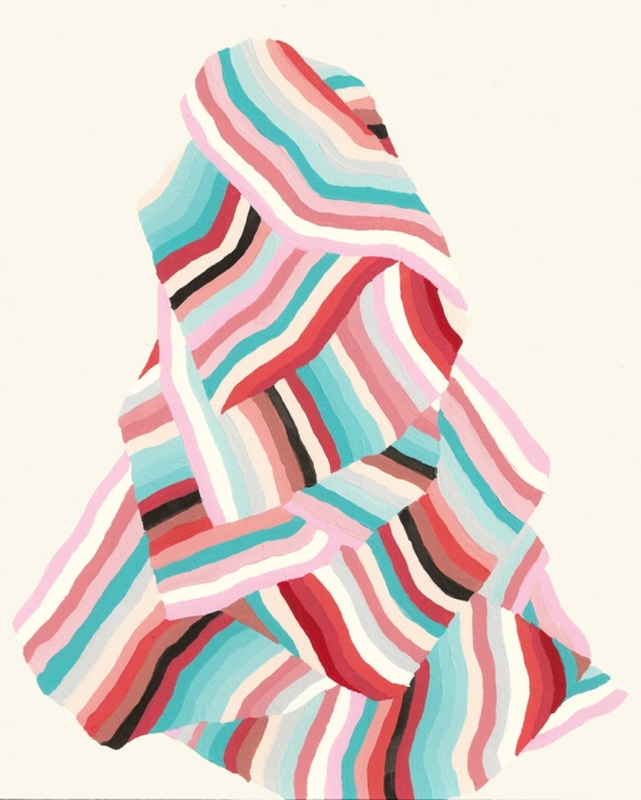 I’m also particularly excited to see the textile work of Regina Jestrow. She produces the type of amazing crafty art one would expect to find down the street at the Craftsmen Gallery but fits in well with this exhibition. Florida State University’s Working Method Collective will be performing Friday as well. Little specifically has been said about the performance art of Working Method Collective but it sounds like it’ll be particularly interactive with the audience. The exhibition runs January 13th through February 25th. If you’re spending your Friday evening in Tampa, the USF Contemporary Art Museum is throwing its opening reception for the upcoming exhibit Mark Dion: Troubleshooting from 7pm to 9pm. Prior to that, at 6pm-7pm in USF Theatre2, will be a discussion with Mark Dion, Miami Art Museum Curator Rene Morales, and USFCAM curator Jane Simon. I know what you’re wondering, and the answer is ‘yes’. In case you didn’t know, you were asking “Is that the same Mark Dion from the PBS series, Art21?” Again, the answer is yes. 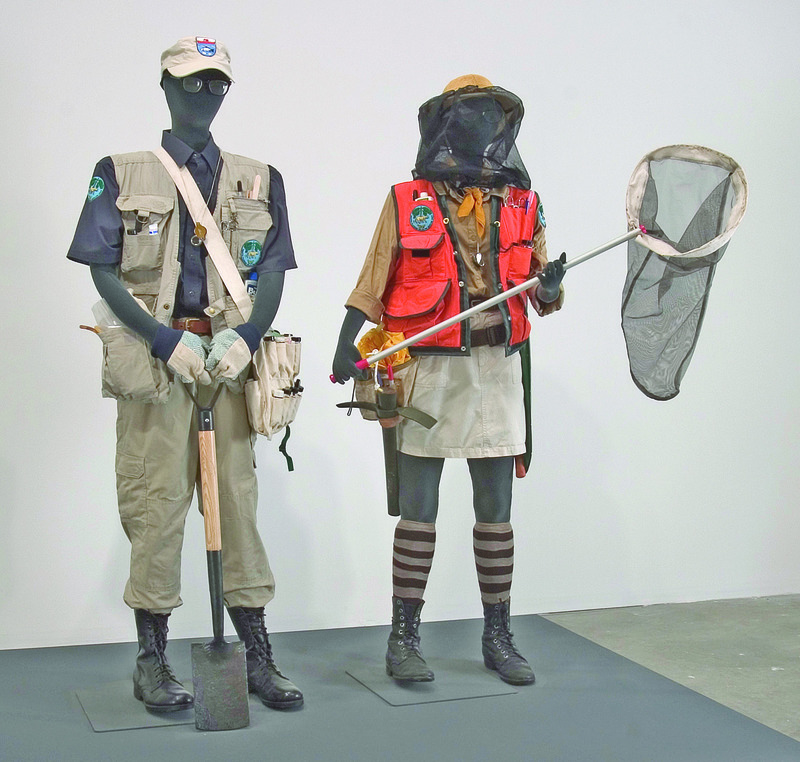 Mark Dion, known for building incredibly detailed politically conscious installations, will be exhibiting work that address particularly Floridian concerns. USFCAM has done an impressive job bringing an important contemporary artist and ultra-relevant issues to the Bay area. With that in mind I’m going to shoot straight with you here: If I don’t see you in St. Pete Friday, I’m going to assume you’re at USFCAM, because you are abundantly awesome and an exemplary arts citizen.